From the Maritime Cluster of the Canary Islands, aware of the priority to grow within this sector we set up a working group with wich to promote and favour the implementation of Offshore Renewable Energies in the Canary Islands, in turn favouring the development and diversification of regional companies, as well as generating employment and promoting a clean source of energy which reduces emissions and the exterior energy dependance. Ministry of Economy, Industry, Commerce and Knowledge of the Government of the Canary Islands. Companies of economic promotion of the islands. Companies that provide services in the different links of the value chain. 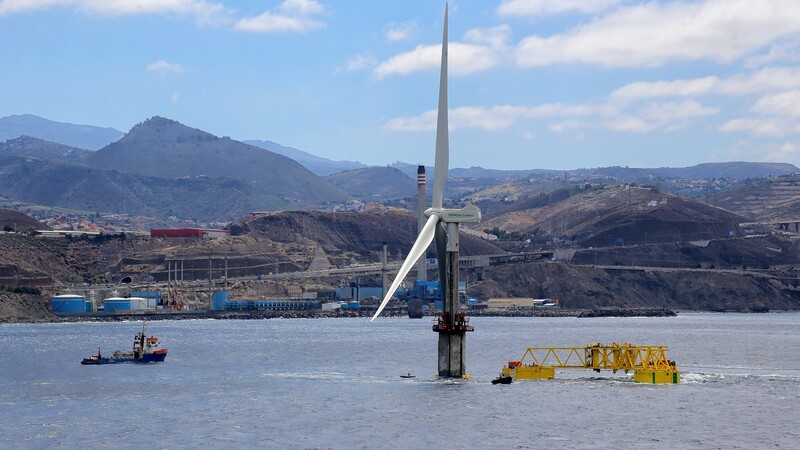 Renewable resources in the Canary Islands are abundant, especially solar, wind and marine energy. Studies show that wind potential in the sea is still much higher than on land. But there are other aspects that must be considered when talking about renewable energies in addition to their cost and which involve direct and indirect benefits derived, among others, from their macroeconomic impact, which can also be translated to economic benefits. Renewable energies contribute to the creation of employment (with a high unemployment rate in the region, this is not an insignificant aspect), a reduction in pollution (the cost of generation with petroleum derivatives would have to be added the CO2 rate, which is expected to increase in the coming years), greater energy independence, an opportunity to mitigate the effects of climate change and, in turn, renewable energies could position the Canary Islands as a global reference in sustainable development, including the tourism sector. That is why, from the Maritime Cluster of the Canary Islands, aware of the priority to grow in this sector we constitute this working group to promote and favour the implementation of Offshore Renewable Energies in the Canaries, in order to favour the development and diversification of the Canary Islands companies in a sector on the rise at the international level, generate qualified employment, and promote a clean energy source that implies reduction of the emissions and exterior energy dependence.